Foldable smartphone is going to be the next big thing in smartphone industry for year 2019. The buzz started with the Samsung foldable smartphone and the we have seen world first smartphone being launched as Royole FlexPai. Recently we have reported that LG is also going to launch the foldable smartphone and now the new name in the list is Oppo, as per reports Oppo foldable smartphone can be launched early 2019. Recent reports have revealed that other Chinese smartphones like Xiaomi and Lenovo are also working on smartphones with foldable displays. Oppo will show its first foldable smartphone at the Mobile World Congress in Barcelona in February 2019. The confirmation comes straight from Oppo's Product Manager Chuck Wang. While he didn't disclose any specifics about the foldable phone, Wang has mentioned that Oppo will deliver a 5G smartphone in 2020 and will also aim to release its first phone with a display cutout in 2020. Wang only confirmed the arrival of the OPPO’s foldable phone without sharing information on its specifications and release date. Hence, there is no confirmation on whether the foldable phone from OPPO will be equipped with fold-in design like Samsung’s foldable phone or fold-out design like Huawei’s foldable phone. A report that had surfaced coupled of months ago had suggested that Samsung may allow OPPO and Xiaomi to use its Infinity Flex Display. 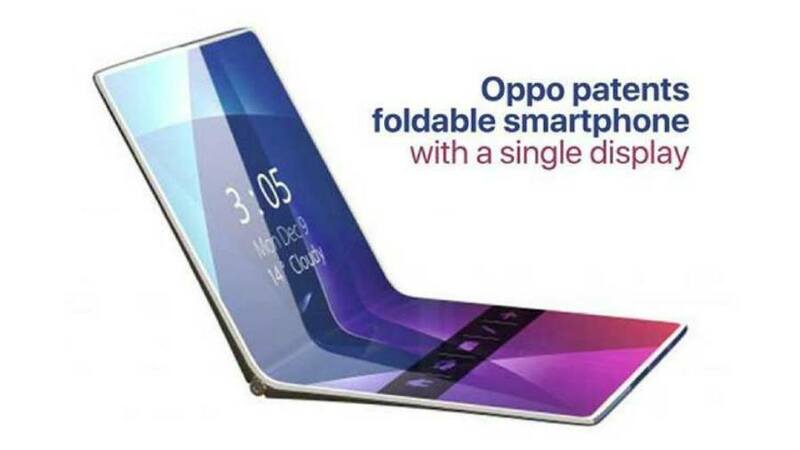 Hence, there is a possibility that OPPO’s foldable phone may support fold-in design. Wang has revealed that the company will be launching its first 5G smartphone in the starting six months of 2019. It is speculated that the upcoming Find series smartphone with flagship specs may carry support for 5G connectivity. Europe will be the first market to receive it. The other vital information that has been shared by Wang is that the company is working on a new design of screen embedded front-facing camera. The innovative display is expected to be ready until 2020.